Here's a peek at some of the latest looks on sale now at the Nordstrom Anniversary Sale. There are only two more days left until the sale goes public. If you just can't wait and want in on the deals now , you can get your early access here and not have to wait. Otherwise, these pieces and other amazing fall looks will be on major pre-season markdown starting July 20th. One thing I didn't grab the first time I shopped is this suede moto jacket. The color is so gorgeous and perfect for fall and honestly, it's one of my favorites for all year round. Pair it with these super comfy jeans (if you only get one thing from the sale, get the jeans...they're under $50 and your body will thank you) and this beautiful bag from Tory Burch. 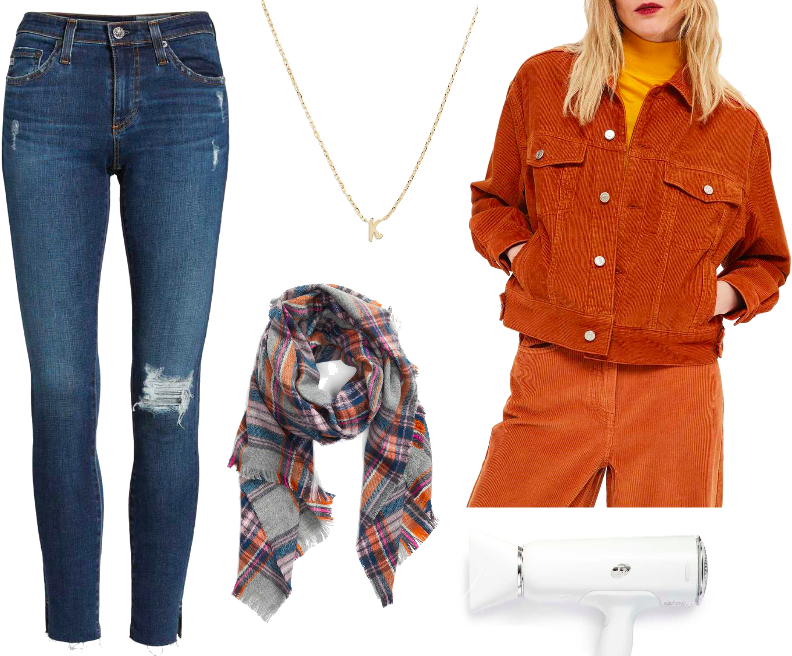 This plaid scarf just says autumn to me and would effortlessly complete the look. And this dryer will lead to many a good hair day. I'm also loving some of the accessories I've been seeing like these sneakers, this watch (under $350) and this adorably delicate initial necklace. Other favorite finds are linked below...hope you're having a great week!